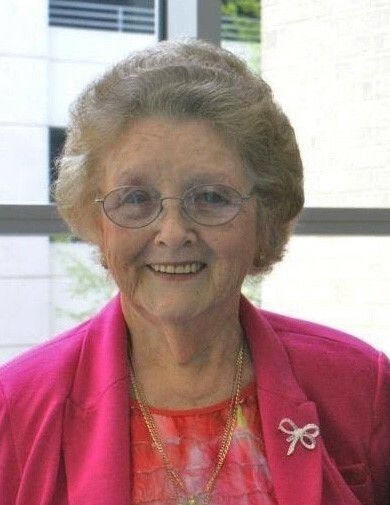 Daisy G. Turner of Wallace, NC left her earthly home on April 12, 2019 while at Lower Cape Fear Hospice LifeCare Center in Wilmington, NC. Born on May 13, 1932, she was the daughter of the late Si Valson and Lola Ward Garriss. Also predeceasing her were her husband--Wilbur L. Turner; brothers—O. B. Garriss, Herbert Garriss, and Elvin Garriss; sister—Mary Lou Batts; brother-in-law—Robert Cornell; sisters-in-law—Luba Garriss, Mary Garriss, and Melrose Garriss. Surviving to cherish her memory are daughters—Dawn Cavenaugh and husband Samuel of Wallace and Judy Sholar and husband Kent of Raleigh; son—Timothy Turner of Newport, NC; stepdaughter—Teresa Hare and husband Jack of Tamarac, FL; sisters—Juanita Hollowell and husband Elbert of Goldsboro and Evon Cornell of Jacksonville, NC; grandchildren—Phillip Cavenaugh and wife Kristina of Wallace, Brittany Turner of Wallace, Ashley Turner of Wallace, Casey Gill of California, and Jamie Gill of Tamarac, FL; and four great grandchildren. Mrs. Turner spent her career as a decorative artist for craft shows. She enjoyed painting, sewing, and watching her birds. She also enjoyed singing in a trio along with other activities at her church—Watha Pentecostal Free Will Baptist Church in Watha. Above all else she enjoyed spending time with her grandchildren who were the light of her life. Her life will be celebrated at a service on Monday, April 15, 2019 at 11:00 a.m. at Watha Pentecostal Free Will Baptist Church with visitation one hour before the service at 10:00 a.m. Interment will follow in the Watha United Methodist Church Cemetery. Flowers are welcome, if one wishes, or contributions may be made in her memory to the Susan B. Koman Foundation. A service of Padgett Funeral and Cremation Services of Wallace, NC.